Now that the warmer weather seems to actually be here (although, I’m still leary about putting my snow shovel away.) it’s time to think about the outdoors. I don’t necessarily mean just the plants and flowers you’re going to purchase, but also how you’re going to live outside. How do we bring your living room outdoors? The realm of possibilites for outdoor furniture is immense. Teak, metal, black, natural. In some ways we almost have more choices for outdoor than we have for indoor….until you consider the outdoor elements. Always keep in mind where you will be putting it during the season, if you want to move it during the warmer season and if it needs to be stored. Once you consider those, it almost becomes difficult to account for all the other factors that we don’t think of when buying indoor furniture. Don’t fret. I’m going to give you some of my favorites. I’ll base them on Style but don’t forget to consider the above mentioned factors to get the best purchase for the purpose you want it for–enjoying the great outdoors! This table and chair set is from the KNF Designs / Nielle Olson Set at Howard Lorton located on the corner of Lincoln and 12th Street. There are different varieties of mosiac tops. Ready for some wild furniture? Here you go..
Is rain a problem to your furniture? Check out this site below. This furniture can be washed off and dry in 15 mintues. Now there is no reason to cancel the party. Rugs are a great way to ground an area and create a room without walls. They aid in defining a space that helps to bring the atmosphere of the indoors outside. They also help create smaller conversation areas on a large patio just as they would in a large room. Another point to think about, don’t be afraid to use color and pattern outside. I often encourage clients to use rugs with little or no pattern in their homes. This is to keep the room from becoming too busy or loud. When you use a rug outside you can go with as loud and bright a pattern as you want. It won’t detract from the rest of the room. Find this classic piece in Room and Board’s Cyclo set. Always one of my favorite places for furniture is Room and Board. Find this classy piece in Room and Board’s Cyclo set. For some great graphics and shapes, look here. Have fun with color and pattern. Outside, you can break some typical interior design rules. You are outside for goodness sake. Are you brainstorming what the “forgotten element” might be? Read more to find out if your hunch is right . Do you have your own ideas of what should be in here? If you read it and don’t agree, let me know. I’d love to hear your thoughts of what you think is something we often forget when we are planning our outdoor spaces. If you guessed storage or covers, you are right. Of course, there are a lot of correct answers but I’ve found that folks often forget about furniture covers and storage in their flurry to get the best furniture. Remember to protect your investment and plan for how to store it or cover it during the off-seasons. Doing this will bring you more use and less shopping. And for those outdoor pillows and other smaller items.. The door is the first impression you get of a building or room. 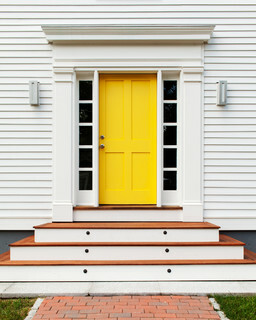 Enter a set of colorful doors and you expect a creative or airy space. Enter a highly engraved wood door and you might be entering a santuary or historic building. An extravagent building with a non-descript door, well, it just isn’t as splendid anymore. Doors are the introduction to the story of your home. 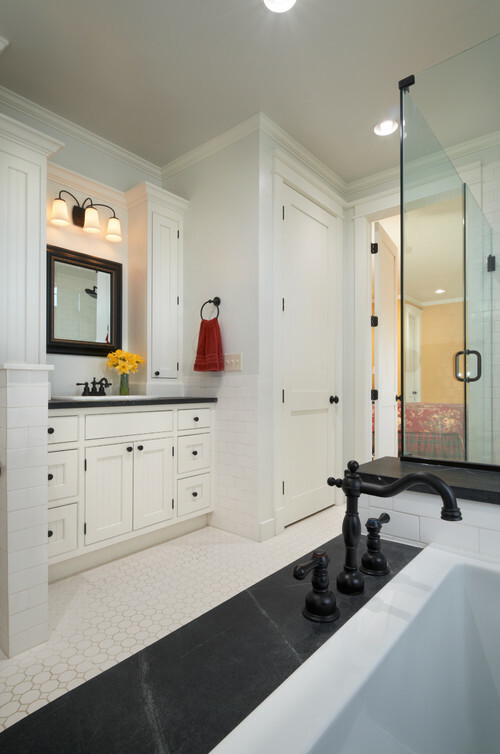 Read on and pick the right first impression for your home or project. We know they help delineate one room from another. Doors can also create a sense of privacy or protection from the outside world when closed. Have you ever thought about the fact that doors set the tone of your home even before you’ve crossed the threshold? It’s one of the first things people see when they pull up in front of your house helping to create a sense of curb appeal. Or, if you live in a high rise, it’s the dominate feature in the hallway when you exit the elevator. And once you’re inside the home, the combination of doors, trim and hardware are three elements that help define the overall style. I mean, doors are important and interesting enough that entire coffee table books and calendars have been based on them. I suppose the same can be said of shoes but that’s a different industry newsletter. 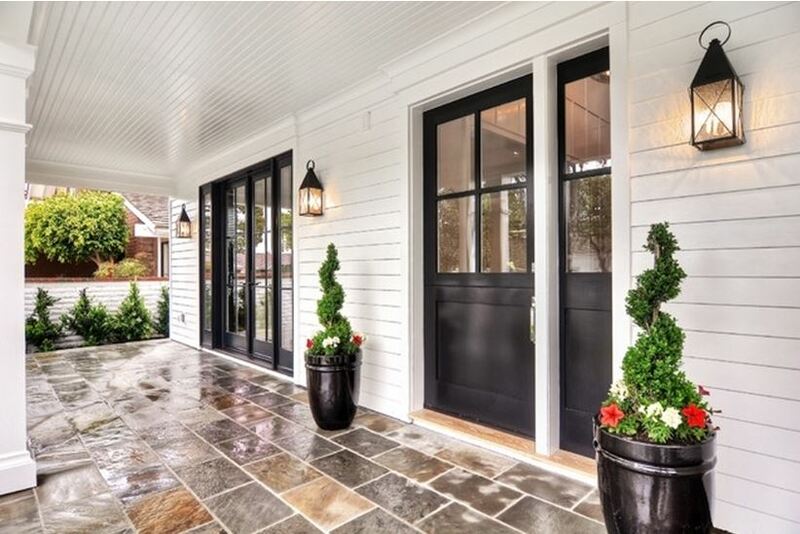 Taking into consideration the weather and elements that your door will face (southern sun exposure, rain, snow, etc) and your budget, here are three types of construction to consider for your front door. Trustile. TMIR6080 in Mahogany with Espresso stain and ½″ Bright Stainless Steel inlay. 1) Wood – The classic and most expected door construction, a solid core wood door creates a sophisticated sense of home instantly upon sight. The natural beauty of wood offers versatility and strength to the entryway. It can also stretch your budget. 2) Steel – If safety is a concern, steel is the way to go. 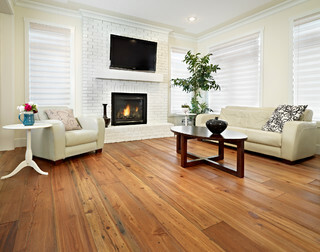 It is more economical than wood and tougher than both wood and fiberglass. It won’t warp and if you need to touch it up you can use an auto body touch-up kit. Steel, however, is not great where high humidity and salt water come into play. Stay away from the ocean with this construction if you want it to last longer than 5-7 years. 3) Fiberglass – Is possibly the most popular door in Colorado because it is the perfect combination of wood and steel. Many of them are designed to look like real wood with moulded graining and various dyes. They don’t expand or contract due to humidity, they have great warranties and can last up to twenty years with virtually no maintenance. Additionally, they are lightweight while being very strong and holding up about as well as steel doors do to intruders. The interior space in the door is filled with foam insulation making them excellent for energy savings. They’re kind of the Goldilocks of doors. Most people are familiar with the most common interior door styles, flat, 6 panel and 2 panel, but did you know there are thousands of other options or variation on these styles? Here’s a great website from one of my favorite door manufacturers that shows all of their options, Trustile.com. Make sure to check out their Authentic Designs under the Design & Planning tab. It’s a great resource for understanding styles and design periods a little better and it really emphasizes how a door can truly carry the style throughout the house. Thus, allowing the furnishings and art to add to the style rather than fight against it. If you’re changing out your doors you’ll also want to consider updating your trim – door, window and floor. I know that’s a lot to change but if you’re going from flat doors from the 1960’s to a more traditional 6 panel door, why wouldn’t you update your 1960’s two inch trim to wider trim that matches your new doors? These decisions need to be considered as a unit instead of just updating one without the other. You wouldn’t lay new carpeting without pad – they just go together. 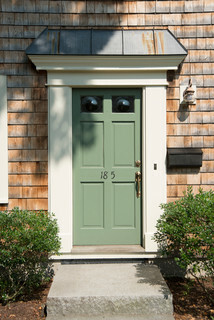 Metrie is another manufacturer of high quality doors and trim. Their website has a fun page called Room Styler, where you can select different styles of doors and trim to see what they look like in a room. Not your room – a room. You select the style, room and colors and then tell them what you want where. If social media isn’t your cup of tea and your looking to kill a good 30 minutes, check it out. It’s kind of fun. I’m asked on at least a weekly basis what I think the next “Big Thing” will be in design. Oddly, people never like what I tell them and then 5-7 years later they’re doing it. A few years ago, my answer was gray. I wasn’t sure how people would use it but I knew gray was “it”. People scrunched up their faces and said, “Gray?! That’s so depressing!” Now almost every project I work on has gray as the predominate color. So, what’s the next “Big Thing”? Same thing I’ve been saying for about 5 years now – Satin Brass Fixtures. If you’re over 35 you’re most likely scrunching up your face because you’re picturing the shiny brass of the 1980’s that you grew up with. You’ve probably even gone to great lengths to change out all the hardware in your house to satin nickel. Well, if satin brass isn’t for you, consider black or pewter. Oil rubbed bronze is still popular in rustic designs but I’m seeing less and less of it. Emtek is a quality manufacturer of hardware. They have many styles and designs that will fit your needs for almost every situation. If you’re running around your house switching out the door knobs – don’t forget the hinges! Looking for a unique, one of a kind door? This is one of my favorite local manufacturers of slider doors. His work is custom and a real piece of art. Let’s Talk About Lighting. 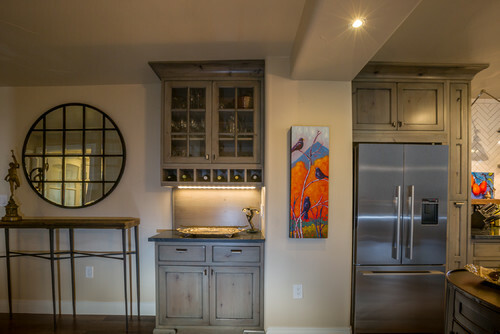 Lighting is key to setting the mood for any room and layering adds depth, interest and warmth. What is layering lighting? 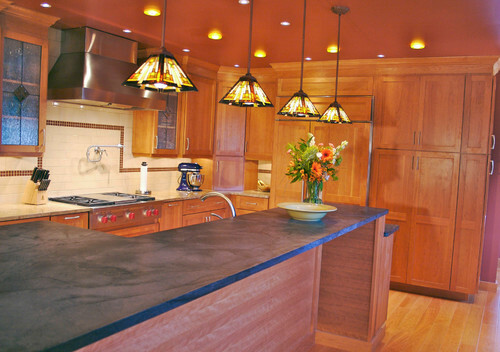 It is the term designers use for using the three types of lighting to work together. Task – is used to illuminate a specific function such as reading, cooking, sewing or homework. It is the targeted lighting we need to see better when performing detailed work. Accent – is used to highlight a specific piece of artwork or architectural detail. It is also used outdoors to accent a tree or goup of trees or at the base of a house to accent a wall. Where do you hang lights? People ask me quite often where they should hang their fixtures and usually I just show them with my hands. That is because so much of how I work comes not only from my education in design school, but from an inner knowledge I have for the way things need to look and feel. This often frustrates my more concrete thinking clients, friends and father. Well, analytic brains – Here is something you’ll love. (Dat Datta Dah!) Formulas! • The width of the chandelier should be about 1/2 to 2/3 the width of the table below it. • The width/length of the chandelier should be about a foot less than the width/length of the table at its widest point. • The bottom of the chandelier should hang between 30″ – 36″ above the surface of the table when there is an 8′ ceiling. For higher ceilings, you can hang the chandelier up to 3″ higher for each additional foot of ceiling. • To determine a good width for your light fixture, measure the length and width of the room in feet and add those two measurements together – the number that you come up with is, in inches, a good approximate width (For example, if your room measures 10 feet x 15 feet, add 10 + 15 to get 25. A 25″ wide fixture would be appropriate for this space.) For rooms with high ceilings, you can add up to 6″ or more to the width of the chandelier. 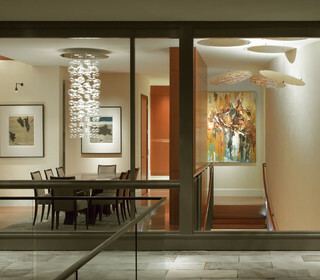 • To determine a good height for your light fixture, multiply the height of your ceiling (in feet) by 2.5 and by 3. The height of your fixture should be, in inches, somewhere in this range. (For example, if you have 8 foot ceilings, 8 x 2.5 = 20 and 8 x 3 = 24. An appropriate height for your light fixture would be between 20″ and 24″ when measured from the ceiling to the bottom of the fixture). • When the bottom of the shade is above eye level, the lamp stem should be about 10” behind the shoulder – near the corner of the chair. • When the bottom of the shade is at eye level when seated, the shade should be at approximately 40” – 42” off the floor. 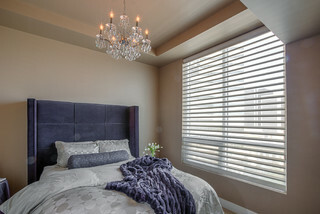 • When the lamp is beside a bed, the bottom of the shade should be 20” above mattress. I worked with a lighting designer early in my career who told me to make the room as bright as possible and then place everything on a dimmer switch. This allows for every option possible. If someone losses a contact, they can have it bright to find it. If they only want only enough light to show the way to the bathroom in the middle of the night, they can dim it down. How many times have you gotten to the end of a staircase, hallway or large room only to realize you had to go back to the other side to turn the light off. Stubbed toes and rogue Lego pieces are only a couple of the dangers. When in doubt, 3-way it! Wouldn’t it be nice to see what color your shoes are before you pull them out of the closet and into the light? Consider placing light fixtures in the lower half of your closet as well as above. I had clients that did this in their closets and they love it. Did you know they now make LED Edison style light bulbs? A few years ago, some of my clients and friends purchased lighting fixtures that featured the interesting look of the Edison bulb. Then when the incandescent bulb went the way of the dinosaur they had trouble replacing them with appropriate looking bulbs. Now that problem is a thing of the past as well. As the weather changes you can go get a touch of spring in a succulent planting class they’re holding in April. They are great for unique gifts as well. Should I paint my brick fireplace surround? Contemporary Family Room by Edmonton Architects & Building Designers Sarasota Homes Ltd.
A few weeks ago I had a discussion with clients about how to make their awkward fireplace surround look larger, cohesive and have more of a unifying impact on their living room. We decided that the least expensive, most time efficient and easiest all around path to take was for them to paint it all white. The mantle, the brick surround and the vertical wood elements would all be painted white to match their trim while the fireplace insert itself would remain black. At the paint store, they were assisted by a gentleman who was helpful in guiding them to the necessary products that would allow them to achieve the desired outcome. This gentleman also gave them a huge dose of hesitation. The paint store employee was more concerned with the fact that the paint would never come out of the brick than he was with the look my clients were going for in the first place. The person at the store doesn’t have a full understanding of your situation. They have talked with you for 10 minutes. Most likely, they have never been in your home and never will be. Photos don’t fully express what your home feels like, how it functions or what you want it to look like, no matter how much you talk with your hands. What finish should I use? Eggshell, Pearl, Satin These are the most used on walls because they wear well and clean easily. It comes down to personal preference on sheen at this point. Eggshell has the least sheen and Satin has the most of these three. Semi-gloss This is often used in high traffic areas where lots of hands will be touching it. Many people use it in kitchens and bathrooms as well because it resists water penetration more than the first three finishes. High gloss This is the most durable of the finishes so it is used on doors and trims. It is easiest to clean and holds up to moisture and grease so is highly recommended for bathrooms and kitchens. Flat Production home builders use flat because it hides a multitude of sins. I feel it is, in and of itself, a sin to use it on the walls of a house. It doesn’t clean. Ever. It will hide poor workmanship but it will not hide finger prints, smudges or the general wear and tear of living. The only time I would use a flat finish is for a craft project. Chalk paint or milk paint This is not chalkboard paint. This paint is used on furniture and it doesn’t require stripping of the existing finish before being applied. Just clean the surface, paint and finish with a coat of wax. The wax hardens as it dries creating a lovely finish. In addition to wonderful colors, there are several ways in which to layer the colors that create rich, aged looks. There’s a little more to it than what I described but not much. You can check it out at www.anniesloan.com. Ceiling color My go to move with ceilings is to paint them the same color as the wall. The eye isn’t drawn to the line where the different paint colors meet so it actually gives the impression that the ceiling is higher. Not always is this a good idea but 9 times out of 10 that is my recommendation. Sometimes I even suggest painting the ceiling an entirely different color than the walls. Here’s an example of a room where the impact color is on the ceiling. clients have been pleased with the service he provides. My resolution in the title looks like two but it isn’t; it’s just one. I want to restore creativity to my personal life and in order to do that I need the space to spread out and create. I already covered a bit of the process in my blog, but now you get to see the results. Nothing earth shattering. And, maybe nothing memorable–for you, however, I can see the floor. And the desktop! I started out saying it is my craft room and now I’ve decided to call it my creativity room. I am not limiting myself to crafting but rather, creating; creating beautiful things or creating peaceful rest. I admit, the room isn’t done. But, now I have the space to really use the room. Projects like this take time. It happens slowly. We don’t buy a home or move into an apartment and say, “I’ll use that room to sleep in, that room to work in, and hmm, that room I’ll throw random boxes and put stacks of magazines over there and over there and there but I’ll do it haphazardly.” For some it is just a drawer and others, like me, it is a room. I think one of the important things to remember is to do a quick evaluation as to how it got there, consider avoiding those pitfalls again but to move on. Start purging. For my project, I had a specific purpose in mind: my creativity room. For some, purging needs to be done to simplify life. Or, is the room changing it’s function–converting a closet into a bathroom, office into a bedroom. Here’s some different methods to help you decide what is best for you. Take everything from a category, ie: books, and go through them all at once. One well-known author, Marie Kondo, says to look at each item and determine if it gives you joy. Keep only what gives you joy. That is a great whole house method but I needed just one room. So that wouldn’t work for me in this situation. Set aside a day or weekend and tackle all at once. It is hard to come by that much time but if you can, the results are more dramatic. But if it is the whole house that needs it, you may not get to the whole house using this method. Or, if time like that is easy to come by, then getting the whole house done will be super fast. Follow a list. There are lots of lists out there. 50, 100, 200 things to consider purging that may’ve made it to our countertops, closets and drawers. This can be fun to pick a few at a time. Make a timeline goal: 5 day, 31 days, month by month. If you are the type of person who sets a timer and does as much as you can in a set amount of time, check out these methods. Being on a deadline works to your advantage. Room by Room. This is the method I chose for obvious reasons–I wanted the room. I wasn’t purging for purging sake. Have you made a resolution that leads to purging? Or, are you purging just to take back your home? I’d love to hear back. Post on this month’s blog here. If you need a little help (or a lot of help) here’s someone we suggest you contact. Ruthie Corona is a professional organizer who will help you get organized, maximize your space, as well as de-clutter and purge unwanted/unused items. She will also assist with the packing and unpacking part of your moving process. She has successfully run OCD previously in Chicago, and is currently continuing to share her years of experience and natural knack for organizing with the residents of Denver. Call her today to see how she can help make your life more organized! In this meeting, we discuss your goals of the project. We look at the function, the feel you want when you go into the room and the style you want to reflect. Why did you decide to join me for Shopping with a Designer? What do you consider to be your biggest design challenge? What current project would you like to discuss? Or do you have general design questions?